Here is another tip for developers using our .NET Gantt chart control VARCHART XGantt to create interactive Gantt diagrams. 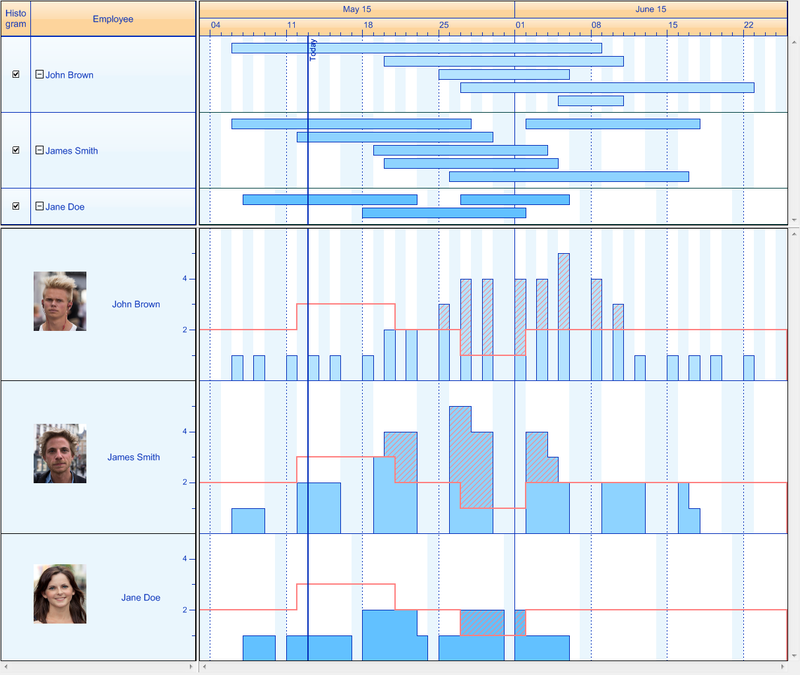 Imagine that your Gantt chart is grouped by employees, showing a resource load chart (histogram) for every staff member. In that case, showing the employees' pictures next to the histogram can add a great visual value to your application. In this blog post, we show you how to achieve this. The below screenshot gives you an idea what we want to achieve: put John's, James' and and Jane's photos next to the histogram so that you get an immediate (visual) understanding of their workload. The event VcObjectDrawn lets you enrich objects being drawn by our .NET Gantt control VARCHART XGantt in terms of design with your own program code. 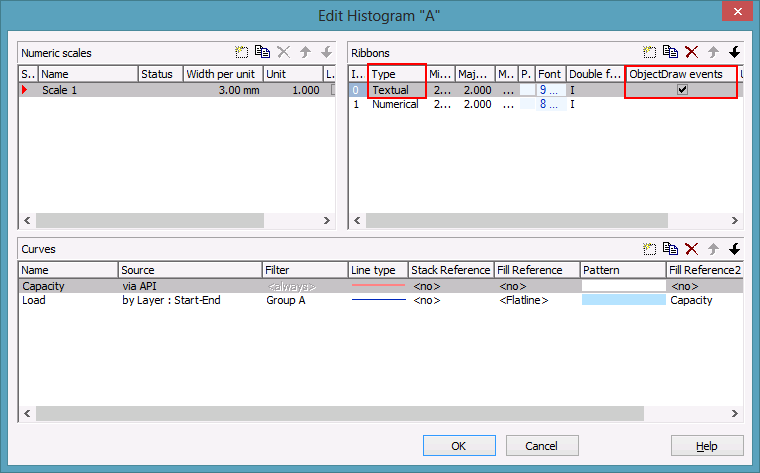 To draw a picture, tick the ObjectDraw events box of the desired ribbon in the Ribbons area of the Edit Histogram dialog at design time. As this option is only available for the ribbon type “Textual”, you might have to add another ribbon. Bitmap _bmImage1 = new Bitmap(Groupwise_Calendargrid_with_Histograms. Bitmap _bmImage2 = new Bitmap(Groupwise_Calendargrid_with_Histograms. Bitmap _bmImage3 = new Bitmap(Groupwise_Calendargrid_with_Histograms. Download our free trial version of VARCHART XGantt with the included sample collection and have a look at the Groupwise Calendargrid with Histograms sample to view the complete code. Photo credits for images used in sample screenshot: kinojam, Enthuan and chris zerbes.